Hello! Welcome to the Taylored Expressions June Release Day! 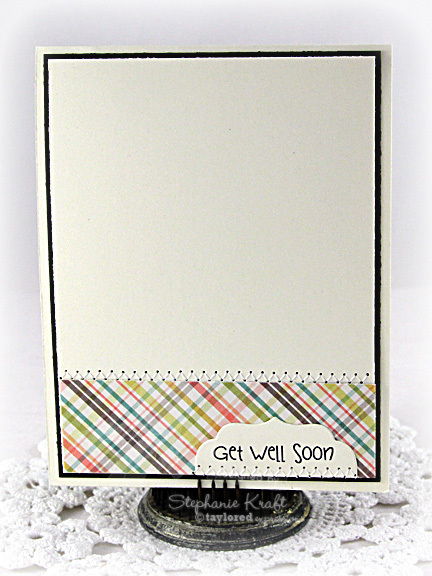 We are releasing 8 new stamp sets, 5 new dies and a new cutting plate...They are all available in the TE store now! Today I have a card using one of the two new Moka girls being released this month. Introducing... Moka Melissa! 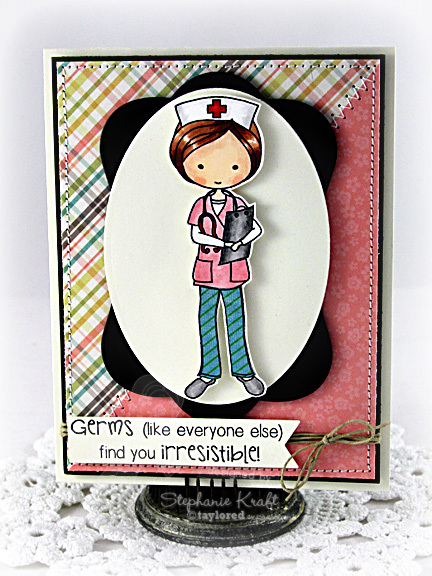 Taylor was inspired to create this sweet nurse by former Baker's Dozen team member, Melissa Sauls, who left the team to pursue a career in nursing! Accessories: Taylored Dies: Label Stacklets 3, Banner Stacklets 1, Simple Tabs (Taylored Expressions); Markers (Copic), Hemp cord, Foam tape, Thread, Sewing machine. Awwwww sweet! Love the detail of the sentiment inside too!